Central Methodist Church has been rambling on first Saturdays in the month for ages. Next month I offer an ecumenical invitation. 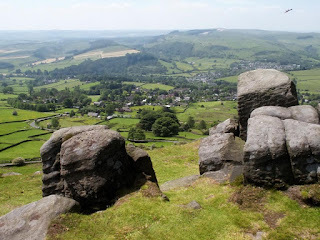 I am leading the walk on Saturday August 5th, which is on Froggatt, Curbar and White Edges and, if desired, with a loop into Longshaw. There are 3 options – 3, 6 or 9 miles, all beginning at Hay Wood NT carpark (not far from the Grouse Inn on the A625), with the short walk finishing at Curbar Gap, the 6-miler coming back to Hay Wood and the 9 miler also. We meet in the carpark of Central Methodists at 9.15, or at 9.45 in Hay Wood carpark, where there is a charge for non-NT members. Anyone walking only to Curbar Gap will need transport home from there. BYO coffee pause at Curbar Gap. BYO lunch near the Grouse. Ice cream at Longshaw.